I’ve recently moved to the frozen reaches of northern Alberta. The weather is deathly frigid, but the economy is super-heated by torrid flows of oil money. Here’s a five gallon bucket idea relevant to the world’s most important energy resource. Everyone is familiar with these red plastic jerry cans. You’ve probably seen one in the hands of a frustrated motorist on foot beside the highway. 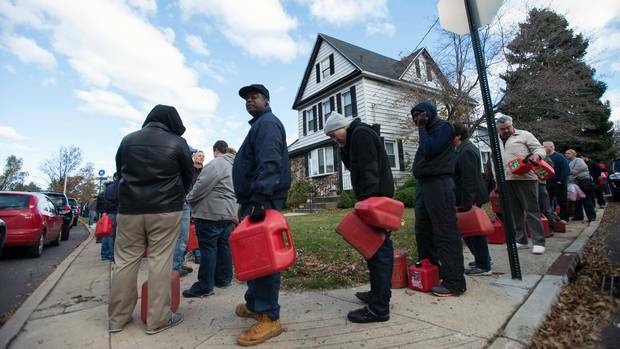 During gasoline shortages, like the recent hurricane-related fiasco in New York, these things come out of the woodwork as people rush to secure as much gasoline as they can. A much more interesting version of the standard plastic 5 gallon jerrycan is this miniature oil pump. It uses any standard five gallon plastic bucket as a reservoir. Pumping saves you from having to lift 5 gallons of liquid, which weighs in at a burly 40 pounds. Industrialists here in “North Texas” use these five gallon bucket pumps to supply lubricants to their heavy machinery, and farmers use them to fuel their combines. Read the full description on Amazon. 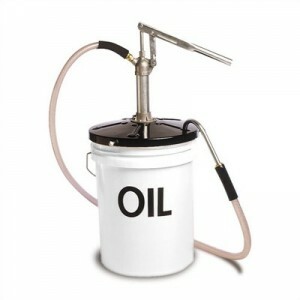 A five gallon bucket can hold enough oil to supply the equivalent of 15 weeks of hard human labor.) Think of it like having your own miniature sun into a form you can carry around with you! Oil’s not likely to get any cheaper, so why not keep a backup supply in a few five gallon buckets? Here’s a related podcast episode on long-term fuel storage with some expert advice about storing fuel. So is that OK to do? Not sure about Canada, but the gas stations here have some warning about not putting gasoline into unauthorized containers. Unless you’re just talking about oil, which might be different. 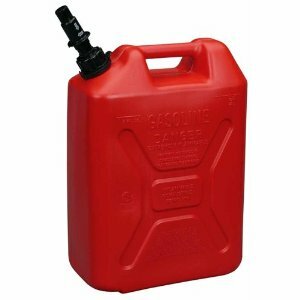 It’s been suggested to me by another reader that it is not safe to store or pump gasoline in buckets or pump it with this pump. Better to play it safe and only used authorized containers.